We also started with a salad to share since the description of the Rucola Classica sounded too good to pass up (arugula, cherry tomato, shaved parmigiano, lemon juice, extra virgin olive oil). I could have eaten more since it was a nice a refreshing salad and a perfect size to start but I'm glad we saved room for the pasta. 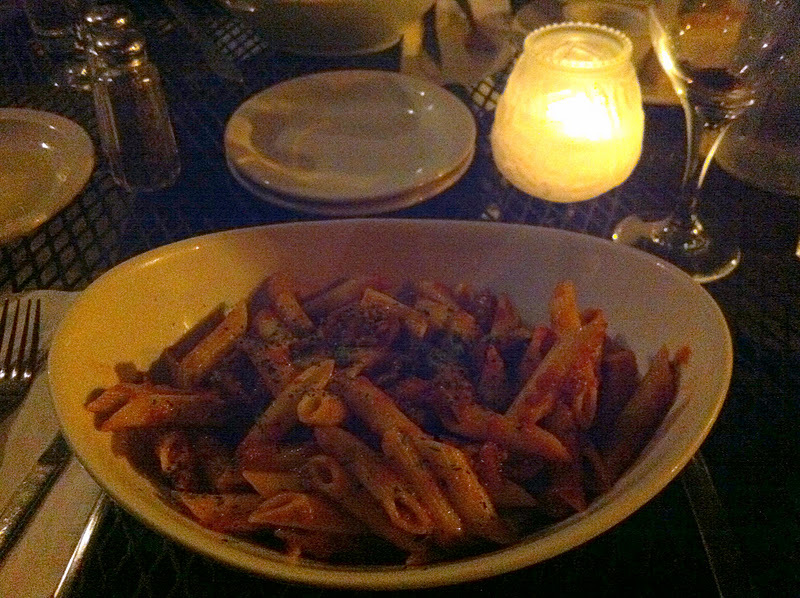 We both were craving delicious home made Italian pasta and we came to the right place. Erica out-ordered me with the Cuervo (campanelle pasta, venison bolognese sauce). 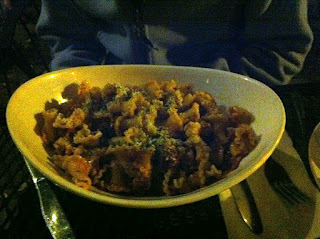 I loved the texture of the campanelle and the venison bolognese was great (I had to savor my few stolen bites). My dish (Arrabiata - penne pasta, roasted garlic, spicy marinara, enoteca sausage) was also very good and had a little more happening but all in a respectable package. The sauce wasn't overwhelming but had a nice spice flavor. I liked the sausage and can never have enough garlic. 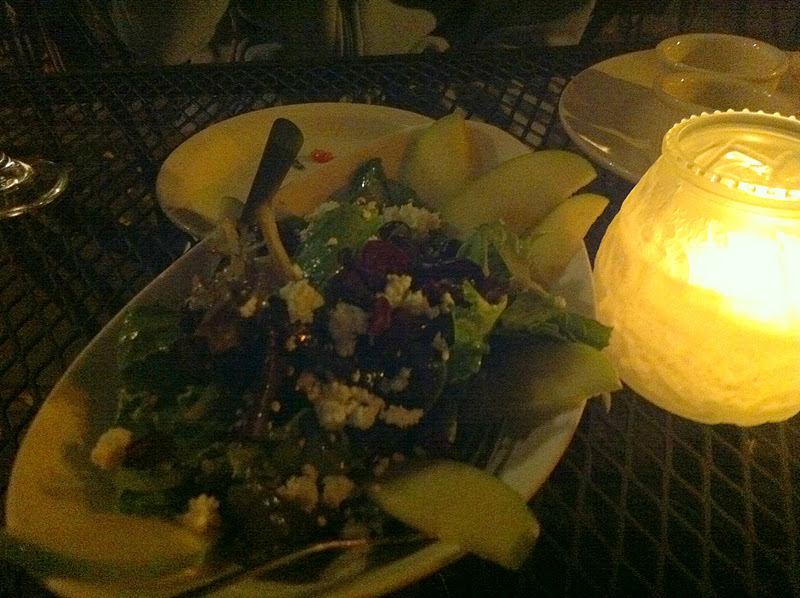 The portions were large and fairly priced in the mid the teens. One dish can be shared or just take home the extras. I'm really happy we decided to explore our local Italian options. 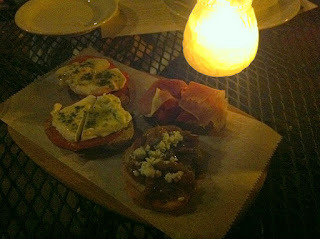 We will be hard pressed to venture away from Enoteca since we know the food is great with plenty of options. It might not be a destination restaurant but I doubt the locals want it any other way. I am happy to join the many fans of an inviting neighborhood ristorante.